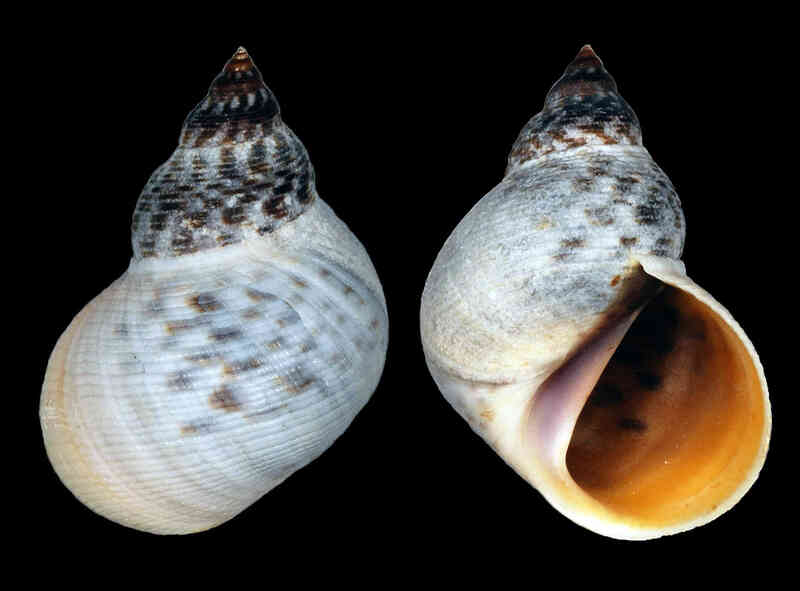 Shell with five or six rounded whorls. Sutures slightly indented. Sculpture of incised spiral lines on entire shell. Well-defined parietal shield tinged with mauve. Color grayish-white, gray, or bluish-gray with irregular brown markings. 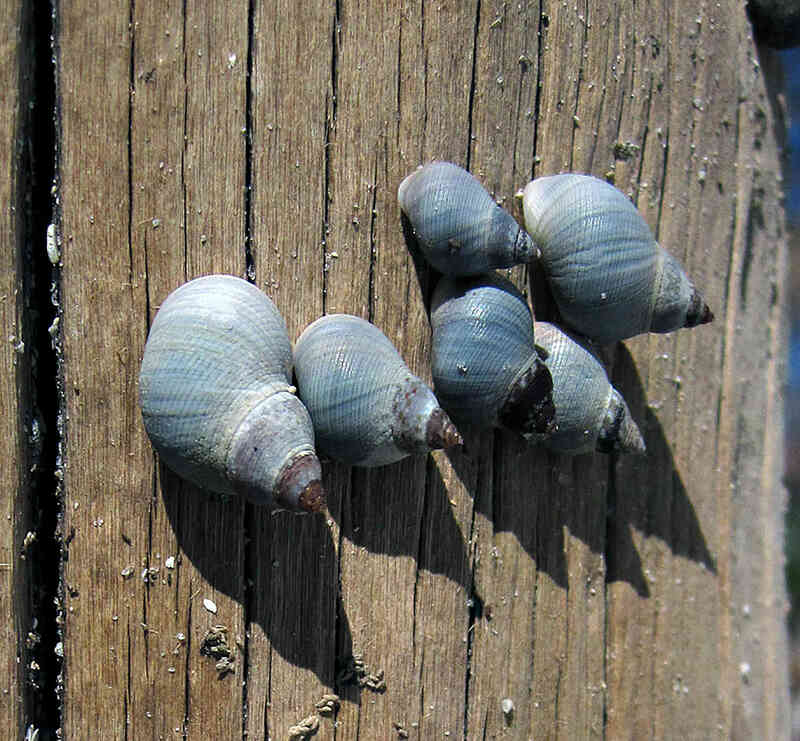 Earlier whorls usually dark-brown, aperture yellow within. This species prefers to settle on dead tree trunks or dead wood structures. 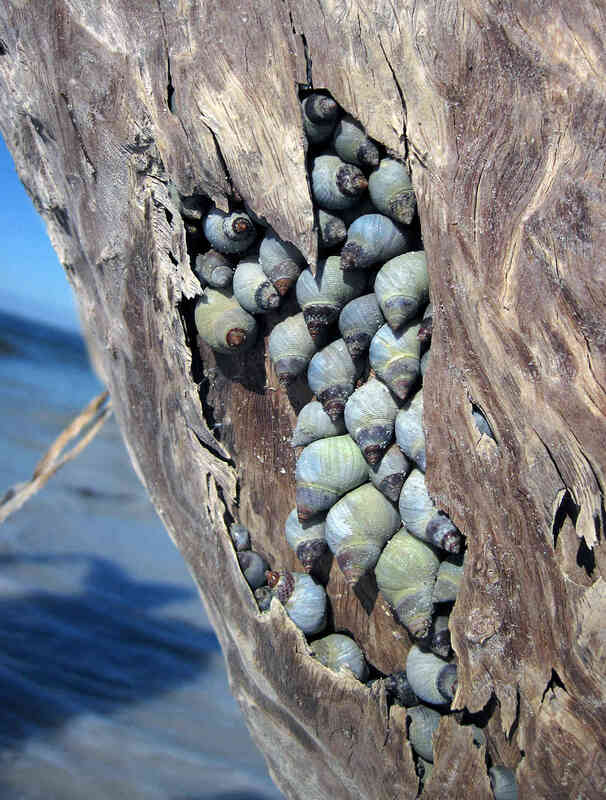 The two photos of the unusually bluish-shelled snails living on dead black mangrove trunks were taken by Dr. José H. Leal on Cayo Costa State Park on October 25, 2014.